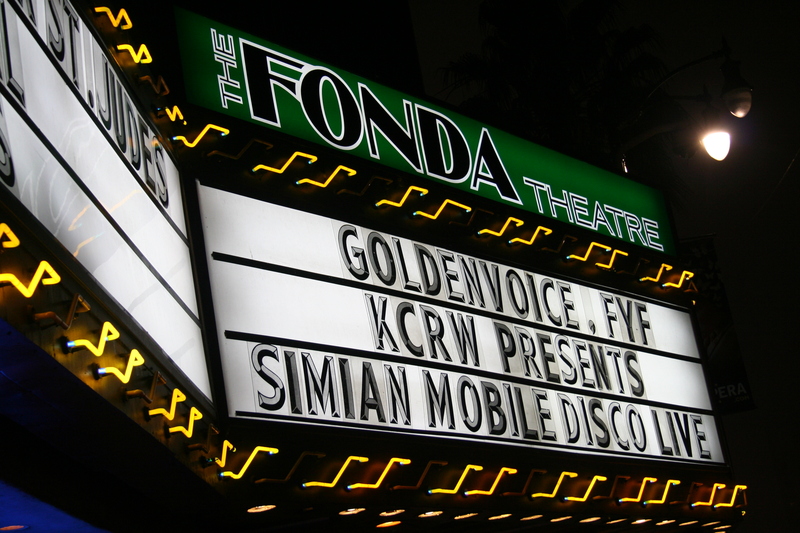 Following a memorable set at FYF Fest 2012 in September, Simian Mobile Disco returned to L.A. over the weekend with a performance at the Fonda Theatre in Hollywood. Playing to an energetic Friday night crowd, the British DJ duo used the cavernous, 31,000-square-foot historic theatre to appropriately amplify their spacious, electronic tunes. Waiting in line outside in what most would consider to be a tolerably light rain, it was entertaining to observe the umbrella-equipped L.A. crowd treating the drizzle as a downpour as they queued for a night of music. The so-so weather, which tends to keep Angelenos indoors, was not enough to deter people. The venue was packed, and as I found a space upstairs to enjoy a pre-show pint and quietly people watch, it became clear to me that SMD has a wide and diverse fan base. Even music fans who typically eschew electronic music enjoy the group’s resonant dance tracks, and the make-up of the crowd reflected the diverse appeal of the duo (It wasn’t like the Dubstep tent at Coachella which made anybody older than 17 and not wearing neon feel like a dinosaur). For unseasoned ears (including my own), the attention grabbing, borderline abrasiveness of some electronic dance music is a turn off. Like a slick haired bachelor with a set of practiced lines at a crowded bar, the genre is often too direct for the average listener. But SMD does not smell like cheap cologne. The bass lines are not rude and there are no abrupt changes. In addition to being DJ’s, Jas Shaw and James Ford are accomplished producers and engineers, and this ear for studio quality sound adds completeness to their sound. 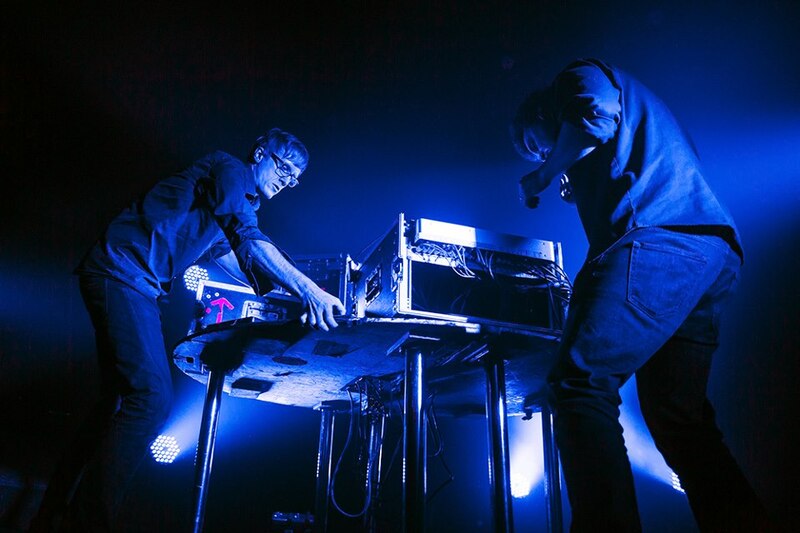 Most of the songs started with a singular, echoing synth which provided a framework for the duo to build upon. As details were added, the beautifully timed bluish-purple light show intensified the construction. Progressive music, when it works, is powerful and emotional, and there was artistry in the restraint that SMD showed. 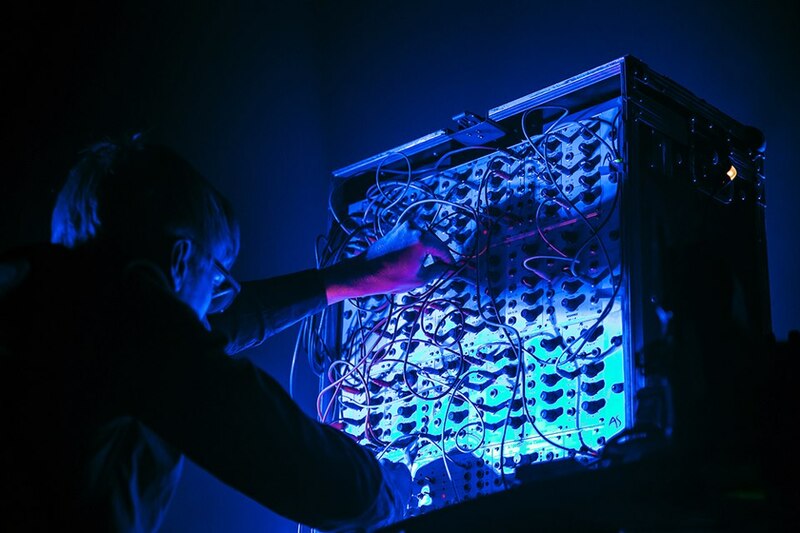 Breaking the elements apart and patiently reintroducing them enabled the duo to avoid the pitfall most common to electronic music: monotony. Instead, they pieced together a highly nuanced set that showed incredible variability and delighted the party crowd as they ushered in the weekend.